2176 sq. 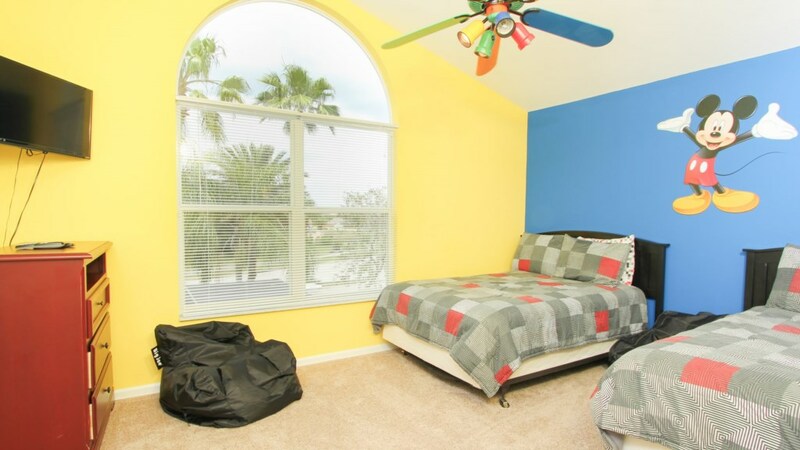 ft. 6 bedrooms 4 bath (2 story) North facing pool Whether you are going to Disney, SeaWorld, Universal, golfing, or just soaking up the Florida sun, your search for the ideal vacation home has ended, Our home is absolutely perfect for families, featuring all the comforts of home and more! This luxury villa, with 6 bedrooms and 4 and 1/2 bathrooms, sleeps up to 14 guests in style and has been professionally furnished and decorated. 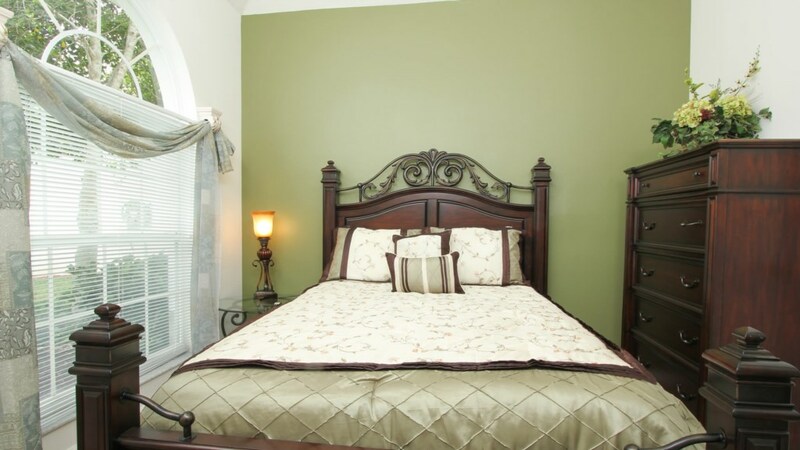 Our home is professionally painted with beautiful relaxing colors through-out and includes custom window treatments. This is THE perfect home when you want plenty of space to host lively gatherings for family and friends, or if you just want a quiet, relaxing vacation. 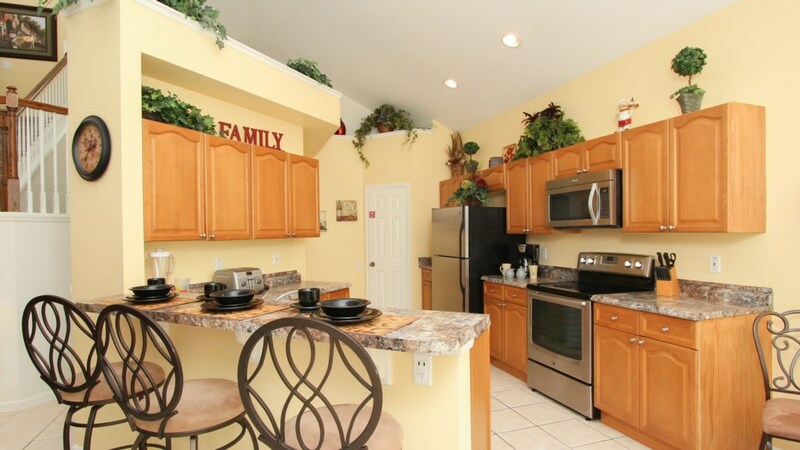 The bright and airy kitchen has new countertops, stainless steel appliances and a breakfast nook that seats three. The kitchen is outfitted with top of the line cookware and extras so you have all that you need for your family meals together. 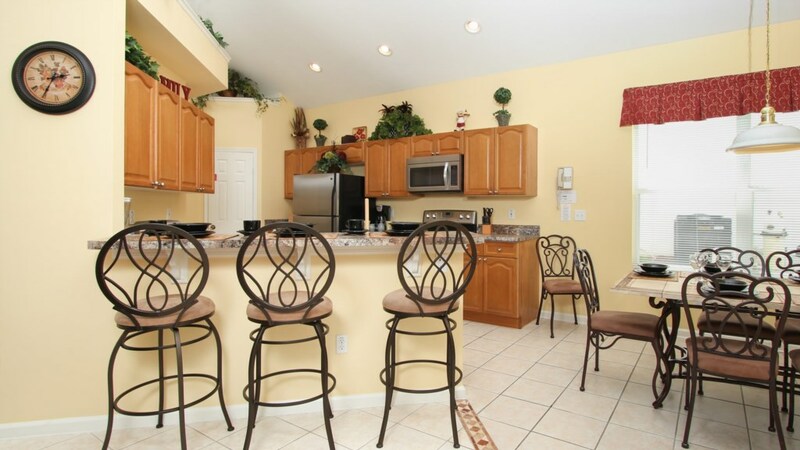 There is also a full-size washer and dryer - no need to over pack. 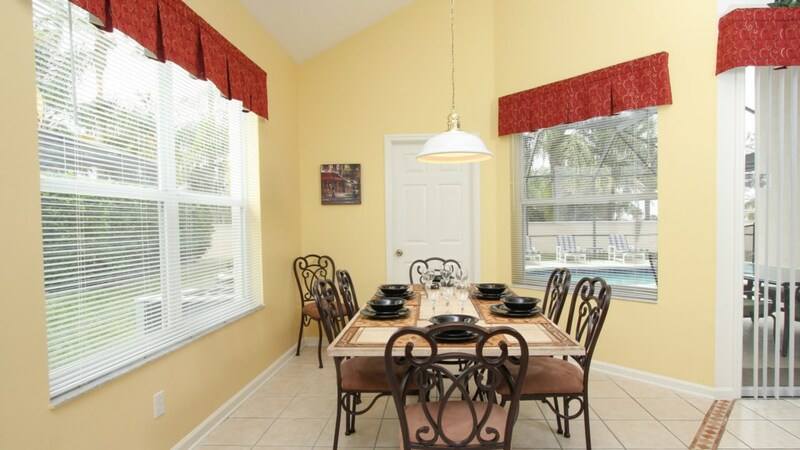 The dining room offers plenty of space to visit and enjoy meals together. The dining room table seats 8 and is a great place to eat and play cards. Including 3 bar stools, total seating indoors is 11. No need to eat every meal out, saving you a fortune. You choose to eat in or go out. 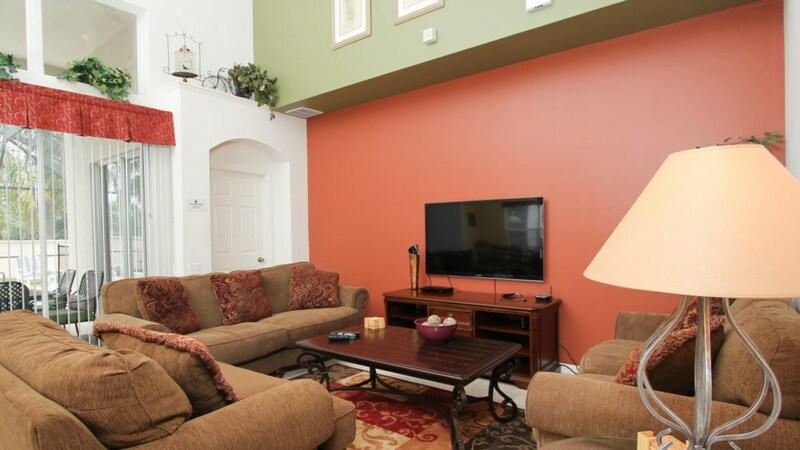 The living area has a vaulted ceiling with an amazingly comfortable couch where you can enjoy movies or cable on the 52" LCD TV, perfect for gathering after a long day at the parks. 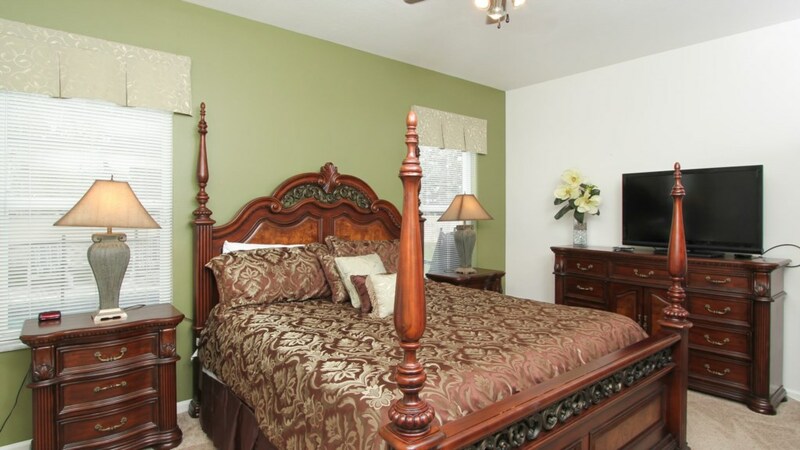 There is one king bedroom and one queen bedroom suite, each having an adjoining master bath complete with a luxurious garden tub, a perfect spa retreat of your very own! 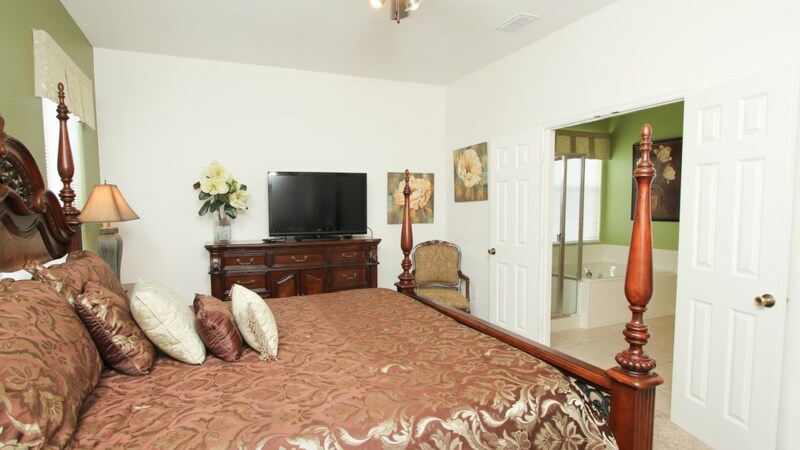 The king master bedroom overlooks the pool and spa. 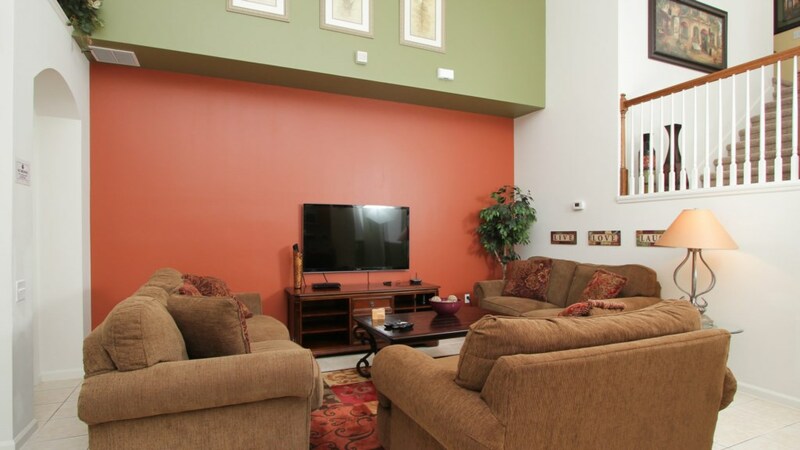 Both suites come with a 47" LCD TV. 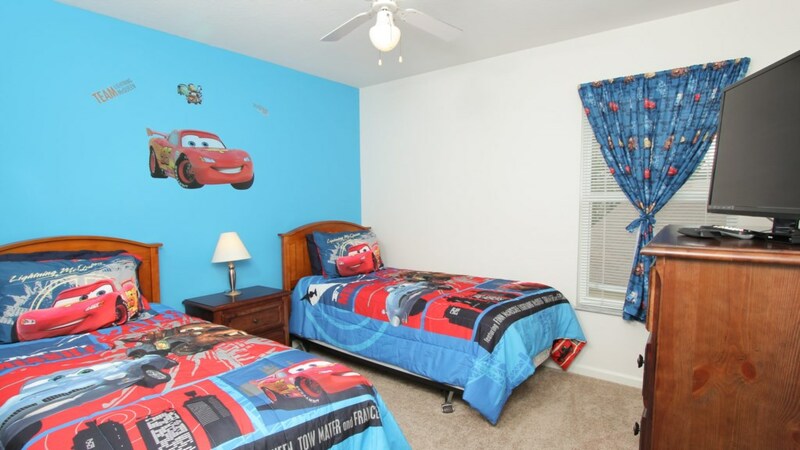 The other bedroom downstairs has a queen bed and a 42'' LCD TV. 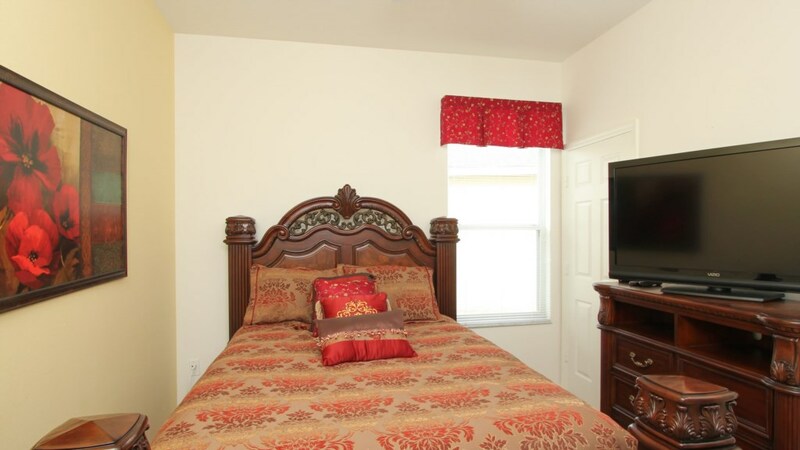 Every bed in our home is equipped with a top of the line European pillow top mattress to ensure your comfort. 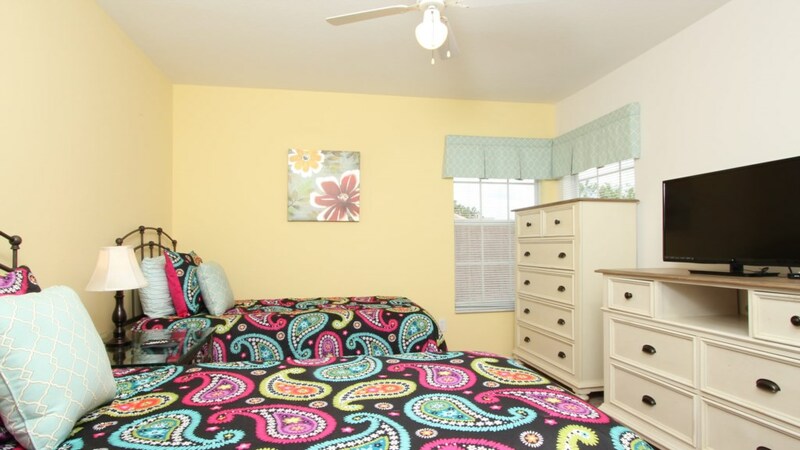 With 1 king bedroom, 2 queen bedrooms, 2 twin bedrooms and one bedroom with 2 full/double beds, there is plenty of room for everyone to spread out and relax after a day out or to just relax and stay in. 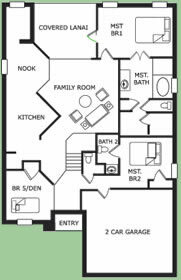 Our home features 4 and half bathrooms, great for everyone having their owns space to get ready at their own pace. 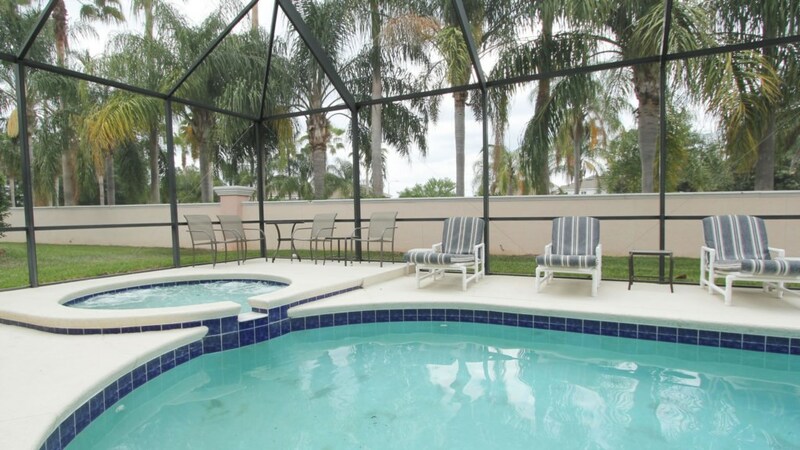 Our home has a South facing pool, which makes it great for those looking to catch some rays in the Florida sun. We have an extended deck by six feet which allows more loungers by the pool. 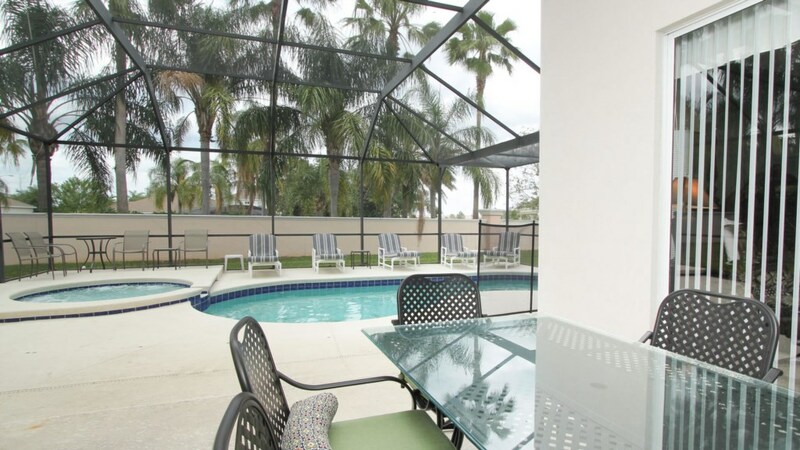 There is even a dining table in the lanai by the pool, perfect for having breakfast before a day at the parks. 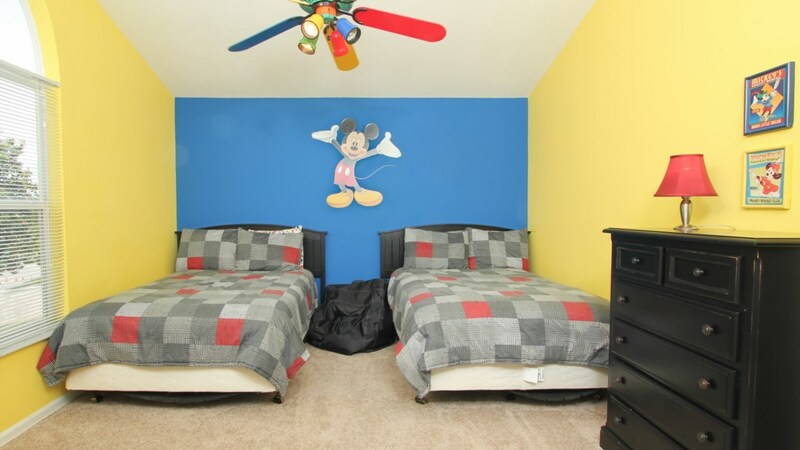 This home will bring the excitement of Disney to you and have the kids talking about your trip for months to come - it will truly feel like your home away from home! The best feature of this home is that it has no rear neighbors - one of the best lots !!! 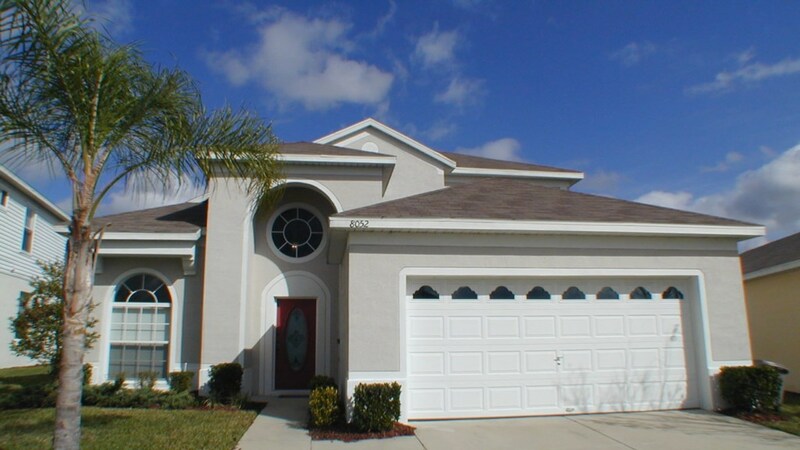 This vacation home is sure to meet all your needs on your next trip to Orlando.